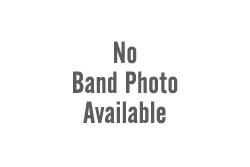 Bride, quite literally, is one of the most prolific bands in contemporary Christian music. Formed by Dale (vocals) and Troy (guitars) Thompson in the Eighties, the band has been producing studio albums and various other recordings for better than 30 years. The duo and band have not been without some intrigue over the years as they've experimented with different musical styles. 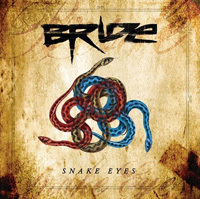 While supposedly retired in 2013, the Thompsons have resurrected Bride for the new album, Snake Eyes. Basically, Snake Eyes is a return to Bride heavy metal with some hard rock groove. The songs are melodic, heavy, pulsing with rock rhythm and groove, and filled with Troy Thompson's frisky guitar solos. While the arrangements are creative, there's not a whole lot of experimentation or prog wonkery here. As a vocalist, Dale Thompson, once more and as usual, can be an acquired taste. He seems to have more scratchy and raspy sound than normal, which is then coupled with some shriek singing. Mostly, I found myself listening for the hooks in melody and refrains of each song, and then Troy's next guitar solo. But there are some interesting tunes here. Notable is the predictable tongue-in-cheek Thompson satirical twists of Fake News, Famous When I'm Dead, and Think I'll Build A Bomb, easily my favorite songs here. Rough, rumbling, and heavy tunes come with The Real Jesus and Suicide, where the riffs roar and the drum pound heavier. All in all, eschewing provocative musical experimentation, Snake Eyes finds Bride revisiting, perhaps, their most familiar sound: straight up heavy metal infused with hard rock groove. Recommended. Eschewing provocative musical experimentation, Snake Eyes finds Bride revisiting, perhaps, their most familiar sound: straight up heavy metal infused with hard rock groove. Recommended.